Great product. Hard working and efficient crew. We love our new windows! Using a steam cleaner to clean your windows has several advantages over more conventional window-cleaning methods. Steam-cleaning doesn’t leave streaks on your windows, involves water instead of harsh chemicals and disinfects surfaces. Your home should be a safe haven from the stressors of the outside world. But if you live in a busy area, ambient noise from traffic, construction and other nuisances outside can really wear on your nerves over time, reducing your quality of life. 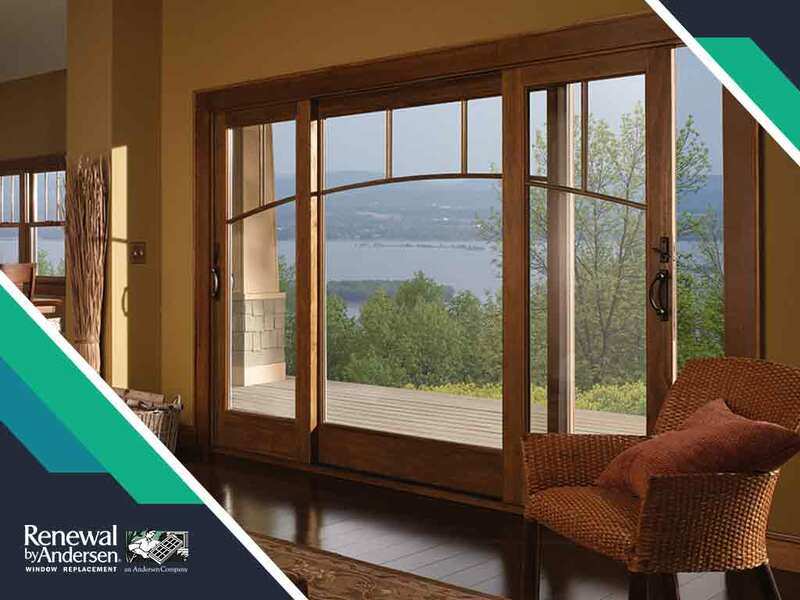 For more than a century, Renewal by Andersen® has supplied the best doors and windows in the country. 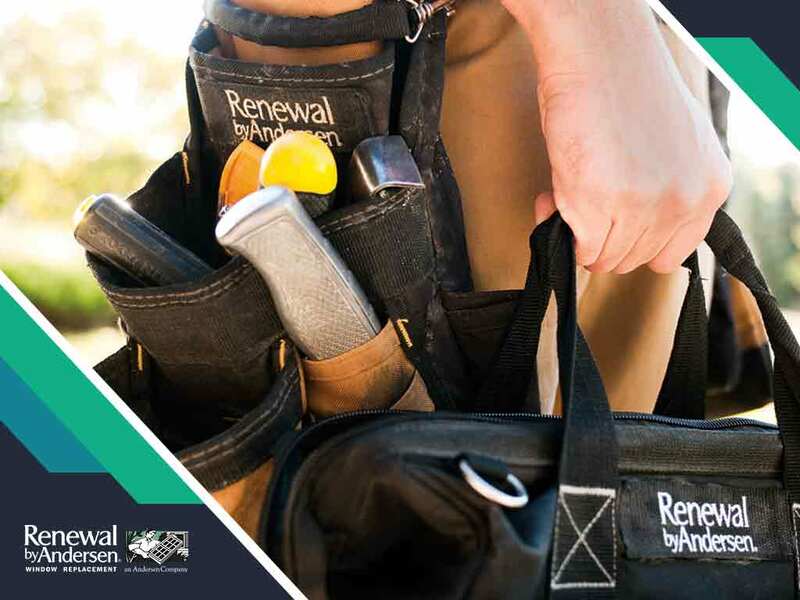 Renewal by Andersen® of Georgetown Texas is the premier installer in the region. We provide top-of-the-line craftsmanship in all our products, which is what sets us apart from other companies. We custom craft and install every window with unmatched precision and care. Each product is custom measured and made-to-order. Here’s a look at the many advantages of adapting Absolute Craftsmanship in our products. We build our windows with High-Performance™ Low-E4® Glass, a product that’s designed to keep your energy bills low by preventing unwanted heat loss and heat gain. In other words, this state-of-the-art glass reduces the amount of heat that enters and escapes your home via the windows. Fibrex®, an innovative composite material used in our window frames and sashes, is resistant to the elements. Without it, your house would be susceptible to leaks and drafts. Fibrex combines the best features of wood and vinyl without their weaknesses. The result is a long-lasting, durable, low-maintenance and extremely energy-efficient frame for your sliding windows. Our windows are easy to maintain thanks to Fibrex, which is tougher than both wood and vinyl. Aside from being sturdy and weatherproof, it’s also long-lasting. Clients report that our windows have survived severe weather conditions for decades. Despite the tough conditions, they still slide with ease and are scratch-free. Always remember that the quality of the installation is as important as that of the materials used in your custom windows. The trained professionals of Renewal by Andersen guarantee a proper installation. We handle everything from measurements right up to the cleanup process, leaving no mess behind. For over 115 years, making different and better windows has been at the heart of Renewal by Andersen. Our use of Absolute Craftsmanship made us America’s premier window manufacturer. We serve homeowners in Georgetown, TX, and surrounding areas. Call us at (866) 842-3370 for a free estimate. Sliding patio doors create a smooth transition between your indoor and outdoor spaces. They have numerous aesthetic and practical benefits that you want to enjoy for as long as possible. Years of exposure to the elements, though, can eventually take a toll on your doors. When that time comes, you’ll need to make a decision: repair or replace? Let your patio door experts, Renewal by Andersen® of Austin, tell you when you need new sliding patio doors. Sliding doors should be easy to operate. If they need more than a gentle push to open, then you should take a closer look. A problem with the tracks is usually repairable. The frame may have expanded due to temperature changes. At Renewal by Andersen, we use our Andersen Track Rollers to fix operational issues. We also use a reinforced composite exterior for durability. Squeaking and grinding noises may be more of an annoyance than anything else. However, they can be precursors to more complications in the future. These noises are usually caused by objects caught in your patio door’s tracks. It’s advisable to have pros clean and lubricate the tracks. If the noises still persist, then you may need to buy a replacement door. Sliding doors may develop problems if they don’t have a perfect seal when closed, resulting in drafts. Condensation appears if the airspace between glass panes is not well-sealed. In most cases, you need to replace your patio door. Make sure to consult your contractor about this. Like your windows, roof and siding, your patio doors are part of your home’s energy envelope. Patio doors that are not well-sealed can leak indoor heat during cold days and let outdoor heat in during hot days. This forces your HVAC system to compensate, resulting in higher energy bills. Thankfully, our energy-efficient patio doors counter these problems. They come with low-E glass and insulating frames for better energy savings. Renewal by Andersen of Austin sliding doors bring the beauty of the outdoors into your home. We serve homeowners in Austin, TX, and nearby areas. Call us at (866) 842-3370 for a free estimate. French and sliding patio doors not only enhance aesthetics. They also improve your home’s functionality, add more comfort and can even lower your energy bills. In today’s post, Renewal by Andersen® of Austin suggests ways to customize your French patio doors. Functionality should always come first when it comes to patio doors. Without a high-quality door frame material, an airtight seal is impossible, which will have many negative effects on your home. You may lose heat in the winter and gain unwanted heat during the summer. Your HVAC system will then have to work harder to maintain a comfortable indoor temperature. Doors built with high-quality, well-insulated frames reduce heat transfer. They keep your interior comfortable while reducing the burden on your HVAC system. There are many glass options that fulfill specific requirements. Our standard High-Performance™ Low-E4® glass package minimizes heat conduction. This means your home will remain cooler on hot days and warmer on chilly days, resulting in energy savings. Low-E4 SmartSun™ and Sun™ glass packages protect against UV and infrared rays. You’ll enjoy daylight in your home without having to worry about your furnishings fading due to UV exposure. For the added privacy, we also offer obscured glass options. I addition, we offer grille styles installed on the glass panes or between them for easy cleaning. Whether you choose French doors or sliding doors, you want the colors and finishes to fit your home’s style. Choose factory-applied colors or stainable interior finishes that include oak, pine and maple. If you want a different interior color than the exterior, Renewal by Andersen® of Austin can do that too. Patio door hardware can mean the difference between plain and extraordinary. We offer various door hardware styles, colors and finishes, including a bronze finish that develops a beautiful patina over time. Hardware also improves security. Our French doors have a five-point locking system, and our sliding doors have a reach-out locking system. Both options make your patio doors as secure as your front entry doors. Renewal by Andersen of Austin offers French doors to enhance your home’s aesthetics. We serve homeowners in Austin, TX, and the surrounding areas. Call us at (866) 842-3370 for a free estimate.